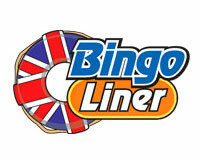 Bingo Liner is an online bingo powered by LeapFrog Gaming owned by Blue Stone Interactive Entertainmen. 9 results for Bingo Liner. This bonus is valid for new and existing players. Wagering requirements: 3X Wagering. Max cash out: 100£. Minimum deposit is $10. 300% bonus is given in Bonus Bucks (BBs), up to a maximum of $100 BBs.